Why choose a local, independent Opticians? Here at Reynolds & Slater we are proud to have been serving our local community with innovative, independent eyecare for over 37 years. Looking back over those 37 years , our eyecare services have always been at the forefront of medical advancement within eyecare. From back in the 1980’s where we were the first practice in Cornwall to offer soft contact lenses, to the 2000’s where we were the first to offer OCT scanning of the eye in the community, to today, where we are the first and only practice in Cornwall offering punctal plug fitting and Blephex treatments for dry eye. We offer the most modern optical products and services because not only are we passionate about eyes, but because Reynolds & Slater is a truly independent, family run Opticians practice. What can an independent Optician offer me? Being an independent Opticians in West Cornwall means that we can offer you the best choice of products from any supplier – we have no ties! For example; our spectacle lenses of choice are Essilor, Varilux and Transitions, but our staff are hugely knowledgable about most other brands, so, we can also confidently offer spectacle lenses from elsewhere – including Nikon, Rodenstock, Zeiss and other specialist independent laboratories. You can learn more about our spectacle lenses here. Independence also means that we are our own head office. Queries and issues, although rare, can be sorted directly. There is no middle person. You are able to speak to, and get to know, the owner Optometrists directly. We can offer fexibility. Need a home visit or the option of spreading the cost of your glasses over time? No problem, our owner Optometrists are a local husband and wife team and are always happy to help. How can innovative eyecare help me? 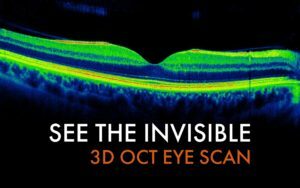 To you as our patient, Reynolds & Slaters passion for innovative eyecare means we use the most up to date equipment and products to ensure we check the health of your eyes, prescribe the clearest vision corrections, and diagnose and treat eye conditions earlier with more efficiency than ever before. Why choose Reynolds & Slater Opticians? As a family run optometrists practice, we run our practice like our family. We are a close team with over 100 years of experience within optics. We are a truly local community optometrist practice. By supporting us, you are supporting your local community and a small business. It got me when you said that independent clinics will be able to access various frames and lenses from different suppliers. I would want to ensure that I will be choosing the best one for the shape of my face. This is because it might be hard to find glasses that look good on me since I have a round face with chubby cheeks. Reynolds Opticians have been looking after the eyes of people in West Cornwall for over 30 years and our current practice team has over 100 years of experience in providing excellent eye care. We pride ourselves in providing the right eye care solution for each individual. From babies to great-grandparents, the fit and active to the less able, contact lens and glasses wearers to those who need more specialised vision solutions, we are a true Community Optician.